Cargo Ships are like the arteries of human civilization on this planet, they move tons of cargo of all sorts which keeps the international economy running. That being said, there are over 40,000 cargo ships on this planet which burn poor quality Diesel fuel for propulsion. This adds up to a lot of Carbon emissions every year and not much is being done to make these ships more fuel efficient and eco-friendly. This past week at the 10th International Maritime Exhibition held in Tokyo in Japan a new cargo ship concept was unveiled, named the 'Wind Challenger Project'. The Project is lead by a group which involves members from the University of Tokyo. 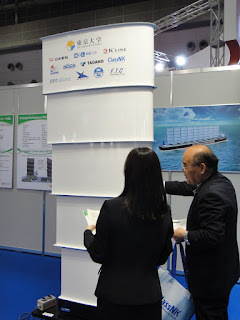 The aim of the Wind Challenger Project is to significantly reduce fuel consumption of large merchant/cargo vessels. The idea is to utilize giant retractable sails, 20m wide and 50m high, to make maximum use of wind energy. The idea is not really new though, sails have been used in the past. The essence of the technology lies in the fact that it will utilized modern day weather forecasting, navigation, networking and communication technology to automatically control the sails and find the best possible path to safely reach the destination with minimum fuel consumption. 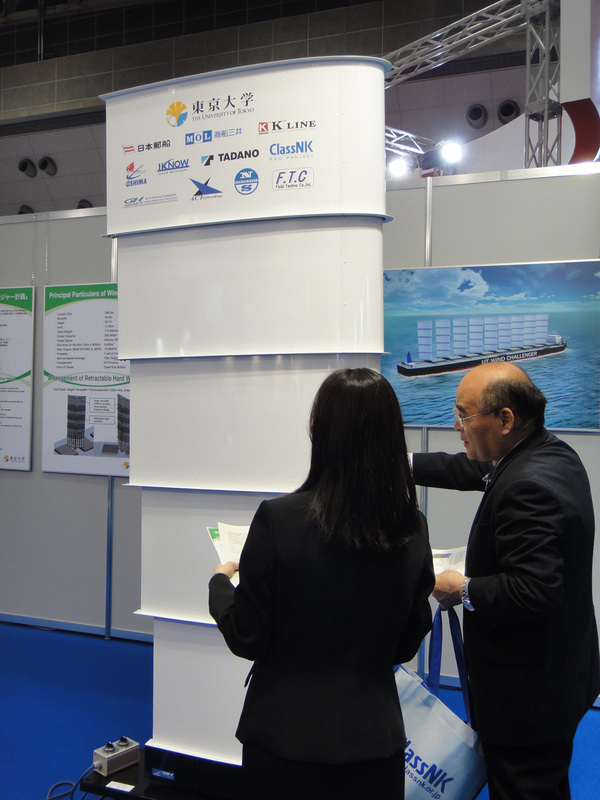 Simulations have already shown an annual average of 30% reduction in fuel consumption on shipping routes such as Yokohama-Seattle. The sails are telescopically retractable, made of light weight aluminium and fiber-reinforced plastic. They are designed similar to an aircraft wing in cross section, the sails can be positioned independent of one another to maximize thrust. Each of the 50m tall and 20m wide Telescopic sail would cost $2.5 million. 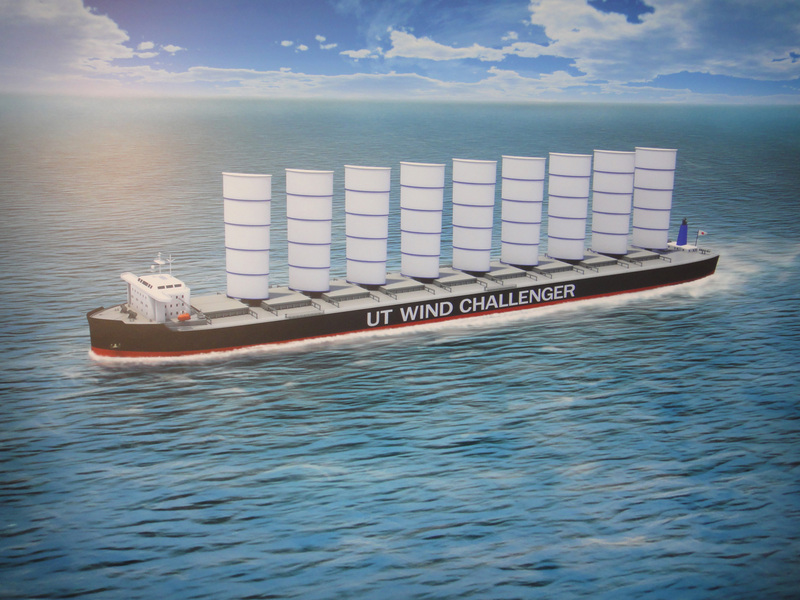 Although University of Tokyo professor Kiyoshi Uzawa who is involved in the project says that with a 25% reduction in fuel cost the sails cost could be recovered within 5-10 years. Professor Uzawa says " We’ve finished our basic research, so over the next two years, we’d like to build a half-size prototype, to check that this structure is practical. Ultimately, we’re aiming for a sea voyage from 2016 onward." All the good things said about the project, the project does not seems very promising considering the fact that it takes away so much of space on the deck which could be otherwise utilised to carry more cargo containers. Plus in case the ship gets stuck in bad weather it could end up into a complete disaster for the sails as they don't seem strong enough. Although not much can be said until we have an actual Prototype ready for testing. All rights reserved 2011. Awesome Inc. theme. Powered by Blogger.